Dark Heritage: Guardians of Hope is one of the recent releases that falls into the hidden object puzzle adventure genre perfectly. The game game has everything it should game play wise and it telsl you another horror story with you being the only one able to save them all. 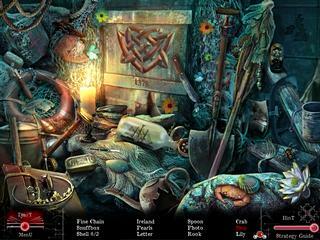 You get to play the same hidden object adventure levels with some familiar mini-games. The game starts out very impressive. The openning scene is very well done with using real film and actors. You were summoned to an island by your favorite collage professor. That sounds like a great opportunity for you, but only until you actually get to the island and find out that the professor had disappeared and the whole island had been being driven crazy by a madman who kills its residents. You are now the only hope of the island. Things get more interesting as you find out more about the madman. The initial presentation and the cutscenes and the sounds all look and sounds amazing. There is nothing to complain about in that area. The rest of the game is not that outstanding. 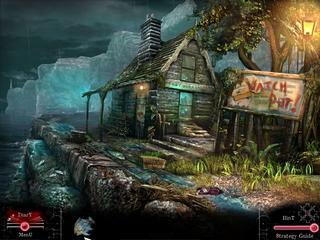 You get to play the same hidden object adventure levels with some familiar mini-games. There is nothing in particular to stand out. The journal and the hint system are the only game mechanics to be used. There are no collectibles or maps. The hiddne object scenes are interactive with the items being easy to find in general. You do a lot of back-tracking using your diary and collecting the inventory. There is not too much to keep you amazed in the gameplay. Most of that is a been there done that kind of contenet. You'd better check the free trial version before considering to buy it. The game might still be satisfactory for some but you need to make sure that you are one of them. This is Dark Heritage: Guardians of Hope review. Download this game here.